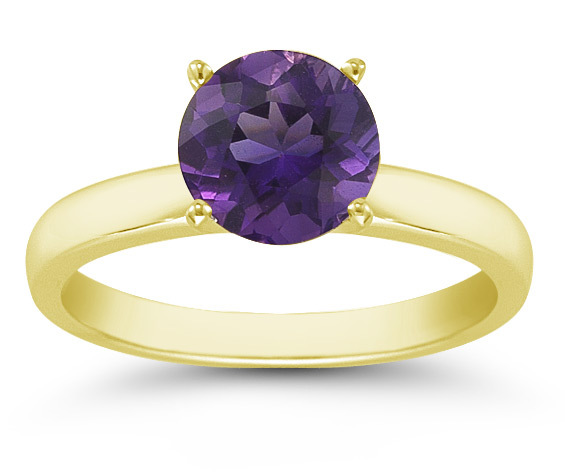 A quality, genuine Amethyst solitaire gemstone set in 14k yellow gold. Match this item with our Amethyst Stud Earrings, shown below. We guarantee our Amethyst Gemstone Solitaire Ring in 14K Yellow Gold to be high quality, authentic jewelry, as described above.